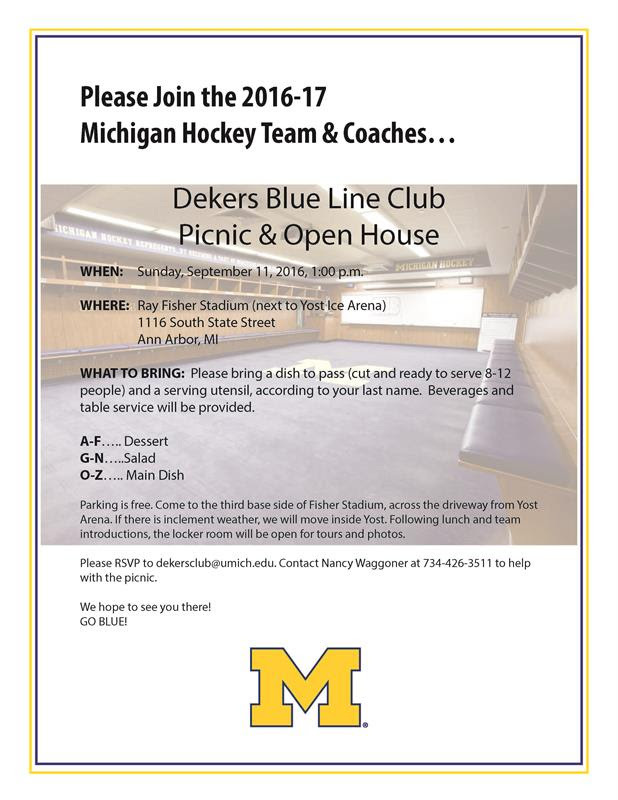 Please join us on Sunday, September 11th at 1pm for the Dekers Blue Line Club Hockey Picnic! The picnic begins at 1pm (rain or shine) at the Ray Fisher Stadium (behind Yost Ice Arena. Please note that the picnic is on campus this year, NOT in Dexter. Beverages and table service will be provided. Parking is free and if there is inclement weather, we will move inside Yost Ice Arena. Please email to dekersclub@umich.edu to RSVP. 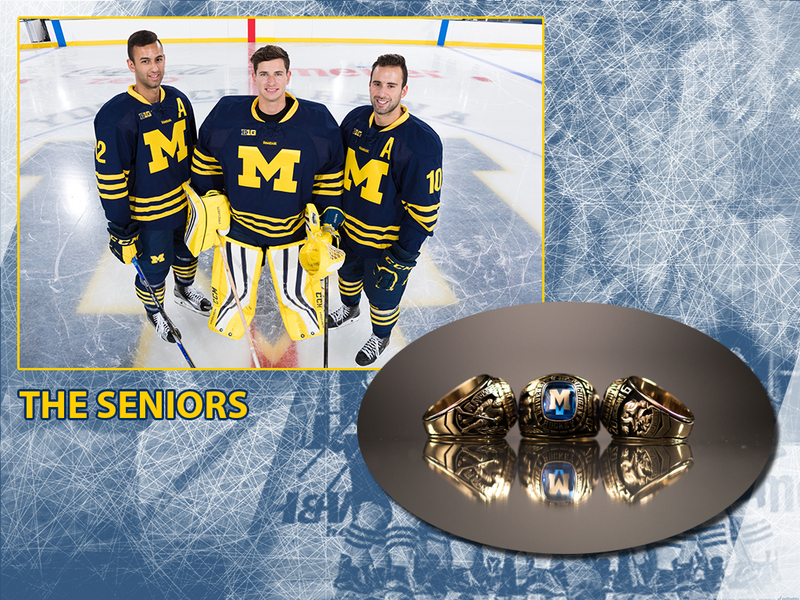 Boo Nieves, Steve Racine, and Justin Selman have received their rings and their framed jerseys.